U.S. President-elect Donald Trump and his wife Melania take part in a Make America Great Again welcome concert in Washington, U.S. Jan. 19, 2017. As the inauguration of America's 45th president takes place today, Russian experts attempt to understand the phenomenon of Donald Trump and predict his influence on U.S. domestic politics and on Russian-U.S. relations. Who is Mr. Trump, and what does his presidency mean for Russian-American relations? These questions have been heatedly discussed by Russian experts of American affairs, as they scrutinize different aspects of the new president's personality in hopes of seeing his true face behind the smokescreen of emotional tweets and scandalous statements. In the run-up to the inauguration ceremony, a group of Russian experts of American affairs met at the Valdai Discussion Club in Moscow on Jan. 18 in order to try to comprehend the Trump phenomenon in the framework of Russia’s view of U.S. political and social life. The main question posed by Russian experts is not Who is Mr. Trump, however, but rather What is Mr. Trump in the context of American political life, and how this political and cultural phenomenon is going to impact the foreign policy of the world's most powerful state. “Is Trump a historically motivated trend or rather a historical glitch?” asked Ivan Safranchuk, an associate professor at the department of global political processes of the Moscow State Institute of International Relations (MGIMO). Unlike protesting Democrats, Russian experts tend to believe that Trump won the election not because of mistakes made by Hillary Clinton's camp, nor because of the Kremlin's intervention – an idea heartily mocked in Russia. 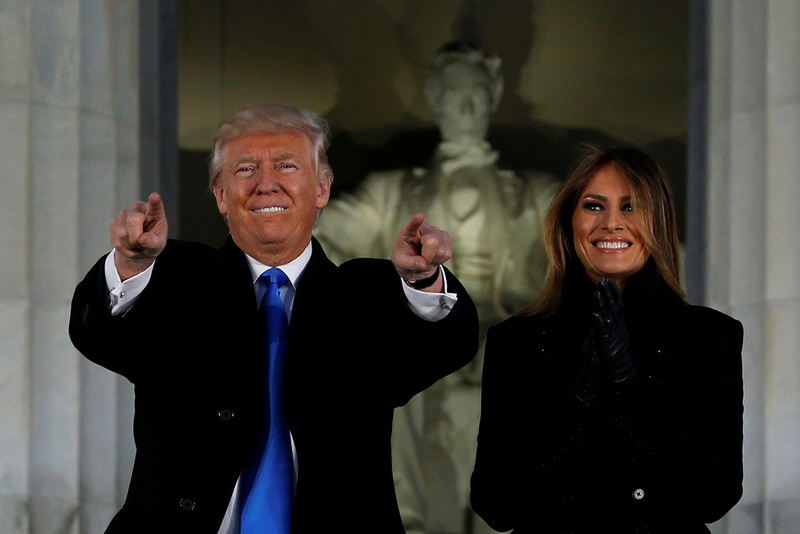 Trump's victory, experts say, is due to his keen ability to detect the tectonic changes in American society that sees Trump as the man who can push through radical reforms. “Trump managed to sell to the American people his idea that the country is losing out,” said Andrey Sushentsov, a MGIMO professor and a program director at the Valdai Club. Sushentsov believes it took Trump “considerable courage” to propose such a powerful and unorthodox thesis. Russian experts, who all witnessed the disintegration of the once seemingly invincible Soviet Union, think Trump's statements that the U.S. is losing are more than just electoral slogans aimed at manipulating disillusioned voters. Instead, it’s a viable topic that can potentially return the U.S. to its role as global leader. “Imagine what troubles such a thesis could have safeguarded the USSR against,” Sushentsov said. Trump's ability to bring up issues that are uncomfortable for U.S. ruling circles is explained by his membership in the elite, said Andrey Bezrukov, a former Russian sleeper agent deported from the U.S. and who currently serves as an adviser to the president of the oil company, Rosneft. “No matter how Trump's presidency plays out, he has already opened the door to a national dialog on what the U.S. is, how it should be competing against key opponents in the world, and what the national elites should be doing do in order to make America the global leader again, and in this sense Trump has already fulfilled his mission,” said Bezrukov, who believes Trump's contribution to U.S. domestic policy has been more significant than his controversial views of international affairs. Bezrukov believes Trump's key message is that the U.S. should once again become an economic superpower. Trump's potential influence on the future of Russian-U.S. relations interests Russian experts no less than America's domestic problems. “Trump has put together a 'squad of superheroes' that would never have otherwise made it into the White House - a team of highly productive, results-driven people with an excellent track record who previously did not have political ambitions,” Sushentsov said, alluding to the recent U.S. blockbuster, Suicide Squad. Russian experts speak cautiously about the prospects of reviving the Russian-U.S. relationship. “We should proceed from the premise that Trump will be moving away from his current exclusively complimentary rhetoric in regard to Russia and [President Vladimir] Putin and towards a more realistic and pragmatic agenda,” said Maxim Suchkov, an expert at the Russian International Affairs Council and a columnist for Al-Monitor's Russia Pulse. This change of tone is inevitable, Suchkov explains, due to the complex and multifaceted nature of the relationship between the countries.